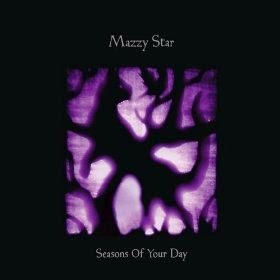 WHY: When Mazzy Star release a record, it’s unquestionably going to be amazing. Hope Sandoval still has one of the most beautiful voices I’ve ever heard, all old soul coated in spun sugar and heartaches. She can penetrate souls with that breathy, velvety fragility of hers. Seasons Of Your Day is another phenomenal outpouring of sensational songsmithery, the songs allowing Sandoval’s voice to gently take the reins use her voice to transport you to a place of unparalleled sonic splendor. Unbelievably glorious.